Cause/Symptoms: Fungus. 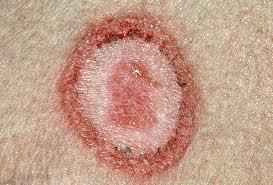 Flat, well demarcated, red, circular patches with scaly or crusted border on the skin or scalp. The patches are often itchy. Transmission: Person to person by direct skin to skin contact or indirectly from contact with contaminated objects or surfaces. Incubation: 10 to 14 days for scalp; 4 to 10 days for other areas. 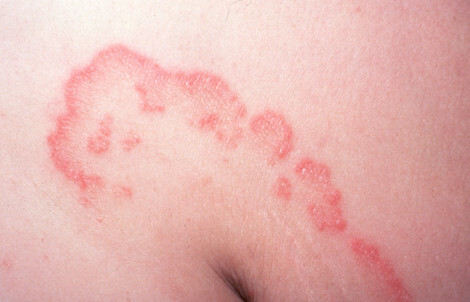 Period of Communicability: As long as lesions are present or until treatment is initiated.